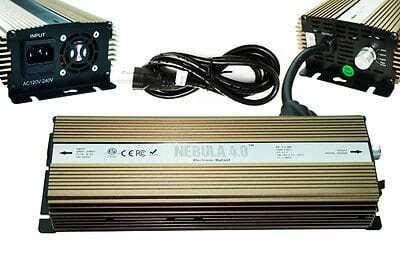 1000 Watt Dimmable Ballast Features: Allows dimming from 1000w, to 600w, and 400w. Includes Solis-Boost overdrive setting. 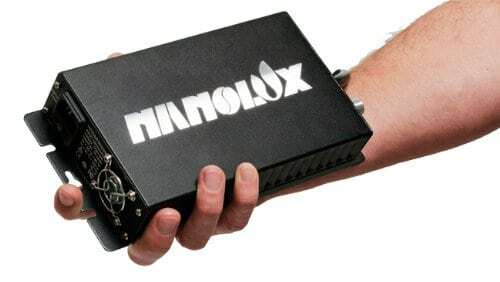 Ignition ControlTM – Revolutionary safety measure. 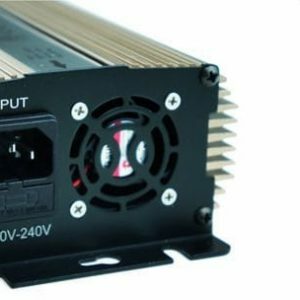 Whether you might be powering up 10 units or 100 units of Solis-Tek Ballasts, the electric current draw is controlled by our internal software. Our software will ignite lamps at different times within 5 seconds so as to give protection to breakers from overloading (also ignites with soft start). That is especially necessary for automated systems to give protection to against inconsistency in lighting schedules. 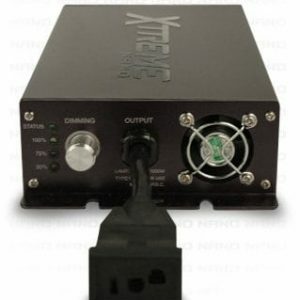 Connection Awareness – Solis-Tek units is not going to ignite with out a complete and proper connection. The ballast conducts a 3 second test of the relationship circuit. If the circuit is incomplete ignition shall be prevented so as to give protection to the lamp -120v/240v compatible in 400 watt, 600 watt, and 1000 watt outputs. 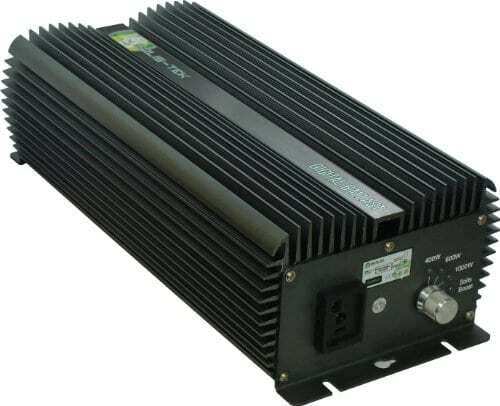 -High Pressure Sodium and Metal Halide switchable -Electronic dimming functions -1000 watt settings: Solis-Boost – 1000 watt – 600 watt – 400 watt (4 step dimming) – 600 watt settings: Solis-Boost – 600 watt – 400 watt – 360 watt (4 step dimming) – 400 watt settings: Solis-Boost – 100% – 75% – 50% (4 step dimming) -2 meter power cord included -Soft start -Constant power, 99.9% efficiency Offering protection against: -output open -short circuit -ignition failure -thermal -end of lamp life -overflow current -over/low voltage -high/low temperatures.